The history of Avudaiyar temple - part 3.
pandya king caning Vandhi's servant(God Shiva) for negligence of work.After seeing Manickavasagar's earnestness & maturity in mind, God Shiva blesses him by performing Thiruvadi Dheetcha & Sparisha Dheetcha(See the photos) under The tree of Kurundha(குருந்த மரம்).This is an excellent gift from God .Now think over the Devotees of God Shiva at Mount Kailash who assembled there to listen to "Sivagama Sastra" directly from Shiva Himself.In his earlier birth Manivasakar was one among them.After blessing from Guru disappears .As Manickavasakar was very much saddened by the Guru's departure,Shiva instructs through a voice from the sky(அசரீரி) that Manickavasakar should perform his Chief ministerial function under Arimardhana Pandian for some time & He would bless him with Moksha in the end.Now Manickavasakar wore his ministerial dress & began to perform his regular duties.Meanwhile spies of Pandya king informed him that the C.M has spent all the gold coins he was given in building the Shiva temple without obtaining King's concern & there won't be any new horses for his army.After this he instructed his officials to arrest the C.M for negligence of his duty.The C. M was put in a jail in Madurai Palace.The C. M was never the less bothered about this as he knew that every ting happening is "God Shiva's Play"(சிவனாரின் திருவிளையாடல்).After sometime on a full moon day,the king's officials noticed a huge sand storm approaching Madurai palace.They were worried that some enemy country was invading Pandya Kingdom.Soon spies brought the news of new horses coming there lead by a commander with big moustache . Soon the commander reached the palace & he was received by the king .The commander was very attractive, looked like a great warrior.He told the king & his ministers to take care of the new horses as they were rare brand.The commander told the king, gold coins were paid to him by his C.M & left .The king now felt sorry for Manickavasakar & he was immediately released from the jail.Night came .In the mid night there was lot of howling from foxes in side the horse stable waking up every one in the palace including the king.The king's soldiers noticed that all the new horses have turned into foxes now & the king himself noticed it.The next day the C.M was arrested .Now the king instructed his men to roll the C.M tying his hands & feet with iron chain in the hot sand of River Vaigai(summer time- no water in the river). Soldiers took the C.M to the river bed.Now there was a sudden flood in the river.The flood was so furious that it breached in many places on its course .The Whole Madurai city & its suburbs were flooded.As the situation went out of control, the king instructed that every householder should send a person to close the breaches in Vaigai. There was one old lady called "Vandhi" who sold rice puddings daily to make her living residing at Madurai.She did n't have any children or men folk to take care of her.She was very much worried that how to send a servant on behalf of her & how could she pay her as she was very poor.She prayed to God Chokkanathar(Madurai).Now a person like a worker came near Vandhi's hou who was busy in preparing rice puddings & selling at her door step.Vandhi noticed the new man & called him near her.She asked him whether he could go for stopping the breaches in the river as it is mandatory for every Madurai city dweller.She also said that she would pay him by offering "broken rice puddings" as the unbroken would be sold to the customers.The new comer readily agreed to this.Now the new comer said he was hungry.When vandhi opened the cover of the cooker,she found all the rice pudding in broken condition. She gave away all the broken puddings to the new comer.He ate it fully & went to the work taking a basket & spade.He reached the river bank & felt sleepy.He began to sleep under a tree.The next day also, vandhi found all the rice puddings broken.She gave it to the servant.He ate it & on that day also he did not do any work.At that time the king came there to see the nature of relief work.When he saw a worker sleeping there,he got angry & asked his men whom he was.Then The king was told that he was sent by the old woman Vandhi.The king grabbed a cane from his men & beat the sleeping man.The sleeping man laughed at the king & where as the king felt the pain in his back.It is learnt that all living beings felt that pain.Now the breaches got closed.Now the king began to analyse the happenings.He understood that Manicavaasakar was a true devotee of Shiva & the commander who brought the new horses,the servant of Vandhi all were Shiva only He immediately met Manicavasakar & sought his pardon.Manicavaasakar immediately asked the king to relieve him from ministerial duties as he was deeply attached to God Shiva & could not perform worldly matters.The king relieved manicavaasakar.Vandhi left this world ,the moment her servant was beaten by the king.Her Karma came to an end & she was liberated by God Chockanathar.See how Shiva is responding to the devotees.Shiva has performed similarly 64 acts for his devotees at Madurai which has been written as"Thiruvilayadal Puranam"by Paranjothi Munivar in Tamil.Will be concluded in the next post. Manickavasakar was from Vedic Brahmin's family.In "Siva Puranam" Manickavasakar starts with this Namasivaya Panchatchara mantra.This mantra is in "Sri.Rudram".Fortunately "Sri.Rudram" chanting is available in you tube.Thank you,Shankar Saranya.We are also posting soon home made medicine. Its very easy & it will be useful for our generation. chuyện trong tộc ta sẽ đảm đương. Vương Lâm quay đầu lại, nhìn từ đường thật lâu. Sau đó hắn xoay người đạp một bước về phía trước, cả người lập tức biến mất. Bên trong tổ trạch lại trở nên yên tĩnh, tất cả tộc nhân đều khấu đầu một lần nữa. Vương Trác nhìn lên hư không, những hồi ức đột nhiên hiện rõ trong ánh mắt. Hắn thấy mình đang đi theo cha đến thôn của Vương Lâm. Hắn thấy một người thiếu niên đi theo bên cạnh Nhị thúc đang tươi cười ngênh đón mọi người tới. 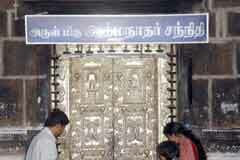 Temple History of Sri.Rameswaram . Flower & bird kolam with dots. Free hand type apartment kolam. God Ganesha kolam with dots. Dot Kolam with 12 dots & 12 lines( Parts 1 & 2 ). Home made medicines - Thiribala churanam. Free hand kolam with dots. Avudaiyar Temple history part 2. 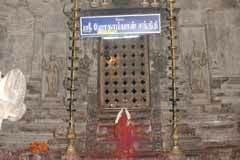 The history of Avudaiyar temple. Easy apartment kolam with dots.